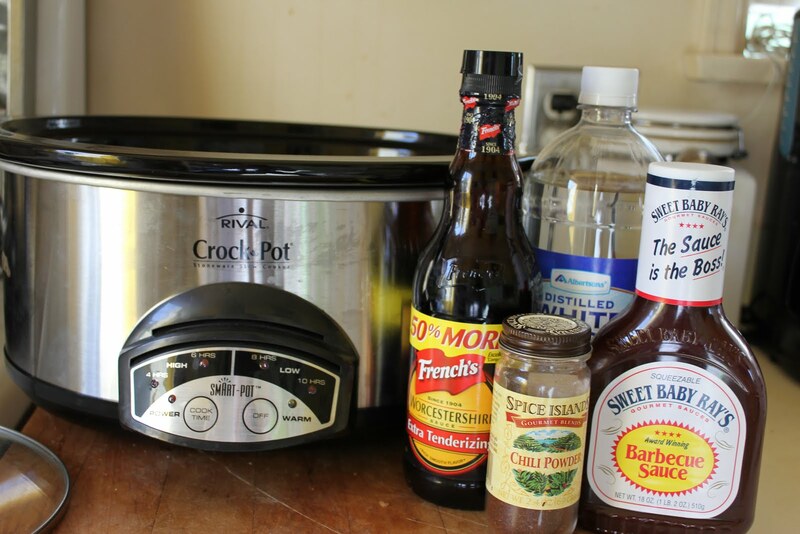 I love the whole concept behind the crockpot. instant meal come dinner time. 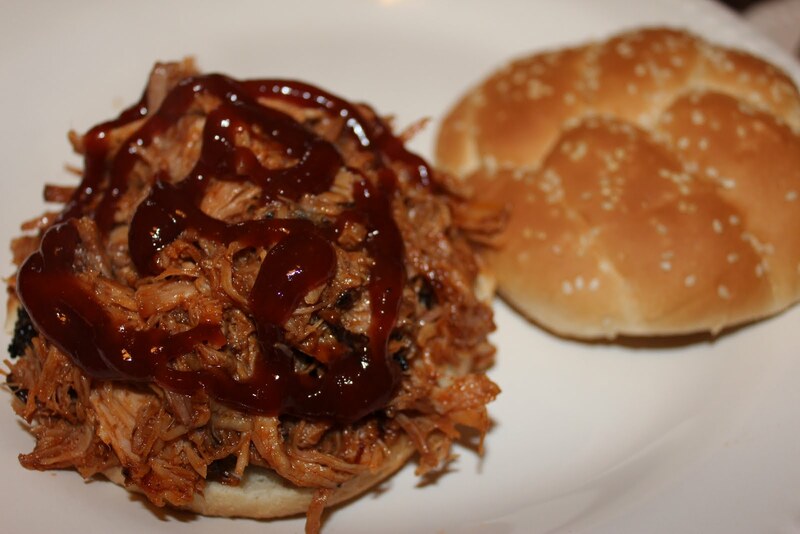 It is so easy and makes yummy barbecue pulled pork (or beef) for sandwiches. The first time I made it Aaron asked if I could make it once a week. He and the kids all love it! Trim fat from meat. 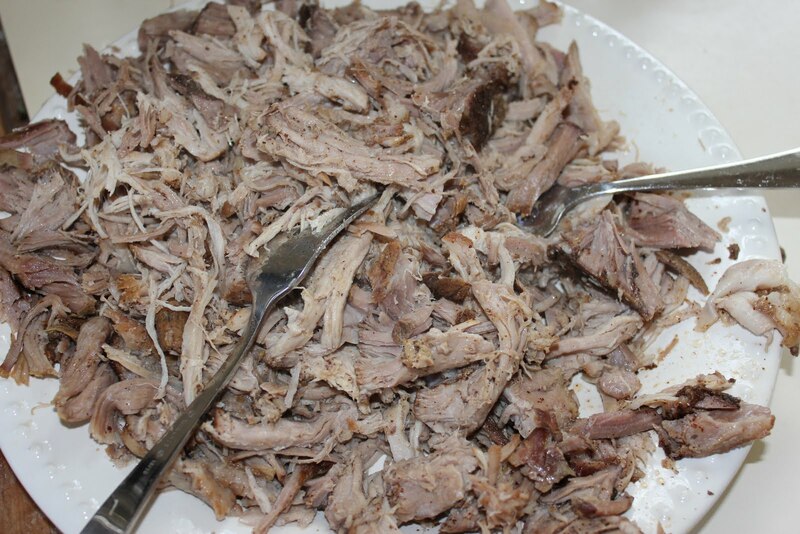 You also made need to cut the brisket in half to fit in your crock pot. Add water, vinegar, Worcestershire sauce, and chili powder. Cover and cook on low setting for 8 hours or high for 4 hours. About 1 hour before serving, remove the meat from the crock pot. Discard cooking liquid (I have left the liquid in before on accident and it's still good). Using two forks to pull, shred meat and return to the crock pot. 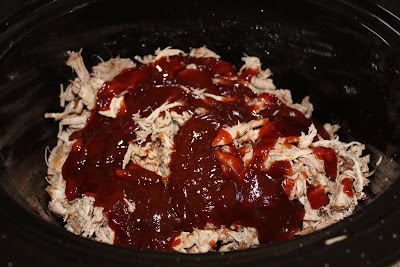 Stir in barbecue sauce (I usually just add a whole bottle). 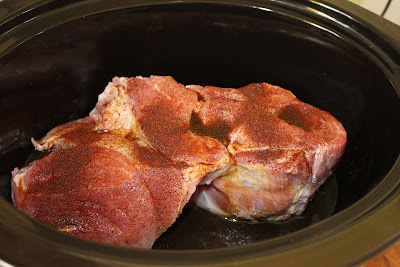 Cover and cook on high setting 30 minutes or until heated through. Serve on rolls on hamburger buns and enjoy! I like to serve it along with corn on the cob and baked beans. 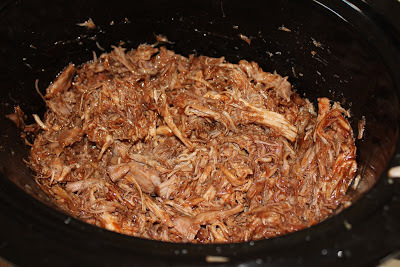 I love making crockpot pulled pork! 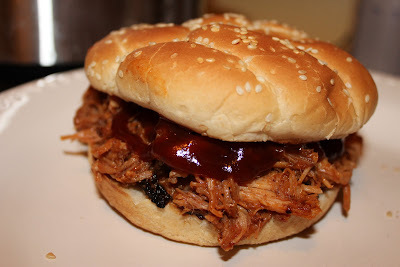 It's been a while but it so easy and always delicious! 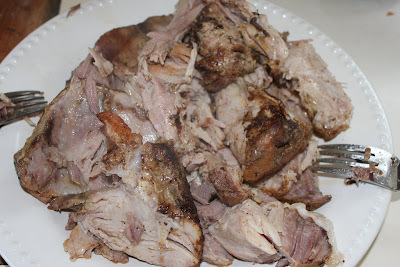 I cook my pork in ginger ale!